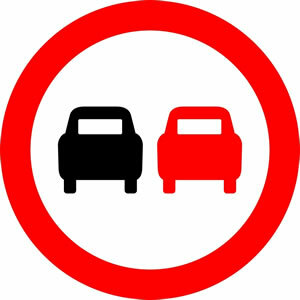 Traffic signs are an important tool for all drivers and motorcycle riders on UK roads. Road signs vary in shape, colour and meaning. Signs are used to provide orders, warnings and hazards or may provide road users with directions. Road signs come in many forms. We often see them on panels on the side of the road as letters or symbols or as road markings. Though they can be represented in other forms such as flashing beacons, bollards and traffic lights. It’s essential that road signs convey their message as easily and clearly as soon as possible, which is why shapes and symbols are often used. 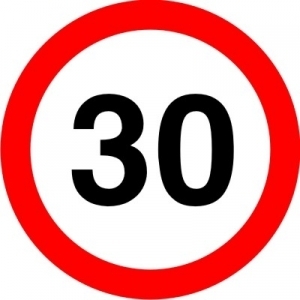 Road signs must be easy to see, easy to understand so that a road user can act accordingly and in good time. In order to pass the motorcycle theory test, you must understand the various sign shapes in their basic form. 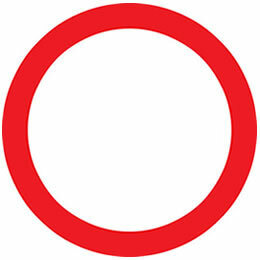 The shape of a sign represents whether it’s an order, a warning or for informational purposes. This method along with many symbols are used throughout the UK and Europe. The shape and colour of a road sign will determine whether it is giving orders, warnings or information. 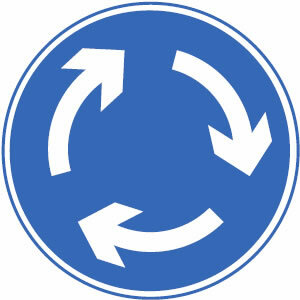 Circular road signs give orders. Signs with a red ring around them tell you what you must not do. 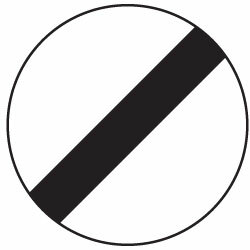 An example is to not exceed a speed limit. Blue circular signs tell you what you must do. 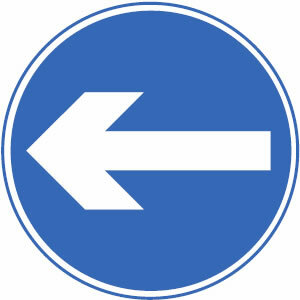 An example is a blue circular sign containing a white arrow tells you which way you must travel. 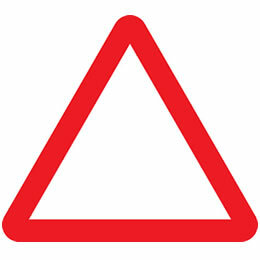 Triangular road signs provide road users with a warning. An example could be warning of a junction up ahead, or that the road narrows ahead. Rectangular road signs vary in colour depending on their location. 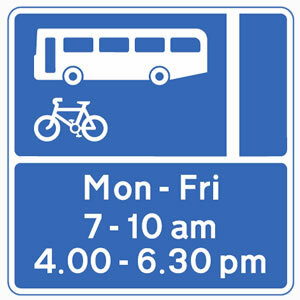 For example blue signs provide information and directions on motorways, green on dual carriageways and white signs provide directions on non-primary roads. 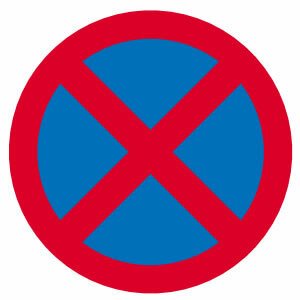 Mandatory road signs are usually a blue circular sign with white symbols. 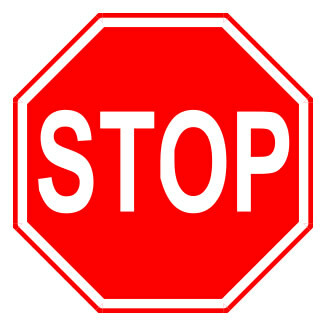 Mandatory STOP octagonal signs are usually located at junctions with limited visibility. 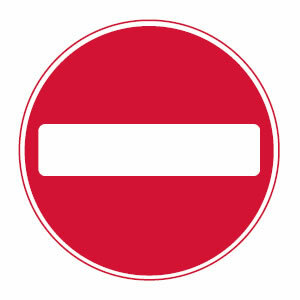 Stop signs are always accompanied with a stop line marked across your lane, separating your lane from the junction. It is a legal requirement for motorists to stop at the line before proceeding – even if it appears safe to proceed without the need to stop. 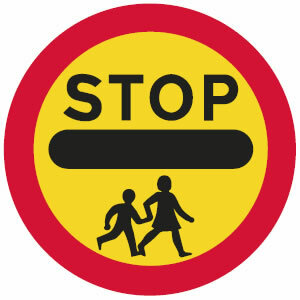 School children ‘STOP’ signs are mandatory and are usually carried by crossing patrols along zebra crossings. Often referred to as a ‘lollipop’, it is a legal requirement to stop your vehicle when displayed by a crossing patrol. 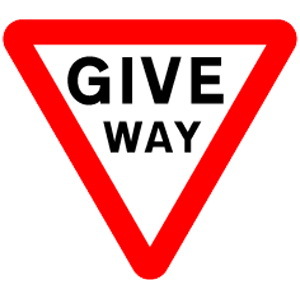 The unique upside down triangle of the ‘Give way’ sign uses this form to differentiate from other signs so that they can be understood even if the writing is obscured. 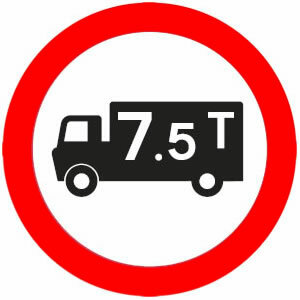 Often located at junctions, though on some quiet roads, only the road markings may be found. You must give way to traffic on the major road. 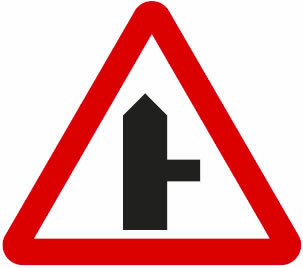 Junction warning signs will inform the motorist which type of junction is ahead. T-junction, crossroad, staggered junctions, side roads, side roads on a bend and crossroads. 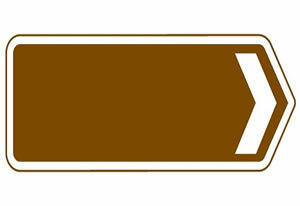 The line, or ‘road’ which has the wider line on the sign signifies who has priority. 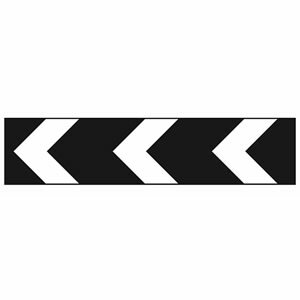 Other warning road signs not represented by the equilateral triangle with a red border are chevron signs. Placed on or before sharp corners, they are used to warning drivers. They show direction changes to the left or right. 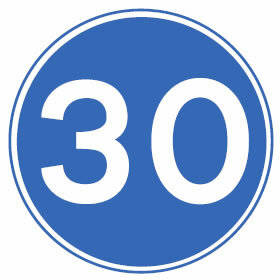 Road signs used on motorways are blue with white letters and a blue border. 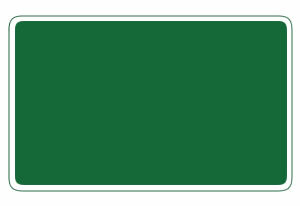 Primary routes with the exception of motorways have green signs with white letters and a green border. Route numbers are shown in yellow letters. Other routes use white road signs with black letters and a blue or black border. Tourists information signs are brown in colour with white symbols and letters with a brown border. They point motorists in the general direction of places of interest such as a zoo or camping site.